Ann was born in October 1947 and was educated at the Royal Navy School in Singapore, La Sainte Union Convent in Bath, Birmingham University and Lady Margaret Hall, Oxford. She has Honours Degrees in Latin, Politics and Economics and has an MA from Oxford University. From 1976 to 1978, Ann Widdecombe was a Runnymede District Councillor. Ann contested Burnley at the 1979 General Election and fought Dr. David Owen at Devonport in 1983 before being selected to succeed Sir John Wells as the Member for Maidstone. She was elected Member of Parliament for Maidstone at the 1987 General Election. Member of The Standards and Privileges House of Commons Select Committee. In July 2001 she announced her decision to retire from the Shadow Cabinet citing the wish to be able to speak on issues which she felt strongly about without the constraints which being a Front Bencher necessarily imposes. 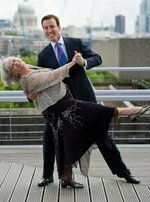 Ann Widdecombe has enjoyed participating in various television programmes including her own prime time television show on BBC2, ‘Ann Widdecombe to the Rescue’. Ann has also contributed to many other programmes on a wide range of subjects including travel, politics and religion. In October 2010, Ann appeared on BBC One’s Strictly Come Dancing. Partnered by Anton du Beke, she won the support of the viewers despite low marks from the judges. After 9 weeks of dance routines the couple had received enough support in the public vote to stay in the contest. Ann was eliminated from the competition after the public vote had been combined with the judges’ score. 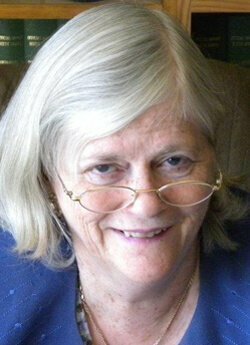 As well as Television and Radio, Ann Widdecombe has built up a strong reputation in the print media mainly as a columnist for several newspapers. In 2018, Ann entered into the ‘Celebrity Big Brother’ house.